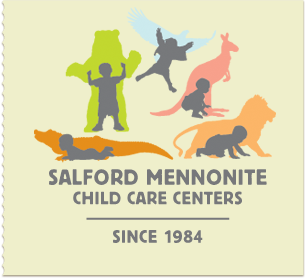 Salford Mennonite Child Care Centers » Winter Weather Advisory for Montgomery County » Imagine. Play. Learn. Since 1984. * SNOW ACCUMULATIONS… 2 TO 4 INCHES. * TIMING… LIGHT RAIN AND SNOW WILL SPREAD WEST THE REST OF TODAY. WHEN THE PRECIPITATION FALLS MORE STEADILY AND HEAVILY… IT WILL PRIMARILY TAKE THE FORM OF SNOW. THE MIXED PRECIPITATION SHOULD CHANGE TO MAINLY RAIN TONIGHT. * IMPACTS… TEMPERATURES IN THE MID TO TO UPPER 30S ARE FORECAST… SO ANY ACCUMULATION IS EXPECTED ON COLDER SURFACES. AS TEMPERATURES COOL BACK TOWARD FREEZING TONIGHT… THERE COULD BE SOME SLICK SPOTS ON MAINLY SECONDARY ROADS. TREATED ROADWAYS SHOULD REMAIN MOSTLY ICE FREE. * WINDS… NORTH 20 TO 30 MPH WITH GUSTS UP TO 55 MPH. HIGHEST GUSTS WILL BE TOWARD THE DELAWARE AND NEW JERSEY COASTS. * TEMPERATURES… IN THE MID TO UPPER 30S, FALLING TOWARD FREEZING IN HEAVIER SNOW.